There is no doubt that a gorgeous lawn really adds value to your home. But maintaining a healthy ground cover can be tricky in drought-prone regions like north Texas. Not to worry, though, because we’ve got some effective tips on how to make great grass a reality year-round. North Texas experiences extreme heat at times, so it’s important to pay attention to your region’s drought cycle. Paying attention to local climate changes, as well as dethatching your lawn, are great techniques for preventative care. Dethatching involves raking up the dead layer of grass beneath the top surface, so that the soil can breathe and get adequate water. Deeper (lengthier) watering is more effective than frequent watering because it encourages root growth. Be sure to mind local water restrictions when caring for your lawn. Mowing creates nutrient-rich clippings, which are best left behind to feed your lawn. Additional fertilization practices can benefit the health of your grass bed. Consider applying a 3-1-2 ratio of potassium, phosphorus, and nitrogen a few times per year. When purchasing commercial fertilizers, be sure you read labels to guarantee you’re using a product that works for your specific breed(s) of grass. Good irrigation methods are essential to the overall health of your lawn. 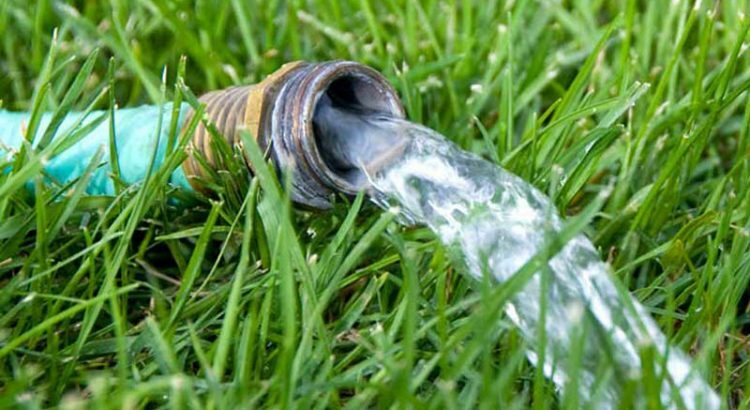 Both soaker hoses, and sprinkler systems with a timer, can be used to water your lawn properly. In an average growing season, watering 3-4 times per week is nice. But keep in mind what we mentioned above; when considering water restrictions, deep watering is better than frequent watering. Early morning irrigation is best, as the water soaks into the soil rather than evaporating. This also helps prevent lawn disease, caused by warm moisture breeding mold and fungus when it fails to soak into the soil. If the grass stays green on a low-watering schedule, how can you tell if it’s getting enough? Wilted blades that don’t bounce back from a footprint are telling you they’re thirsty. This behaviour indicates they’ve lost the moisture density that’s necessary to stay firm. Weeds aren’t the only enemy to a lovely lawn; one must also be prepared to combat pesty insects. This includes ants, sod webworms, grubworms, and armyworms. Patches of short or dead blades let you know you may need to treat for lawn pests. Visit your local dealer to learn about effective treatments that won’t harm your grass. 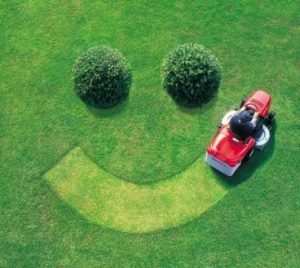 Follow these user-friendly tips to ensure that you’ll have a happy, healthy lawn to enjoy throughout the year.